Our New Mom and Baby Groups are warm, supportive communities that help you bond with your baby and build lasting friendships. Each week centers around a topic specific to infant development and care, along with songs, infant massage, play, and a story. Class also focuses on nurturing moms because your well-being is important, too! 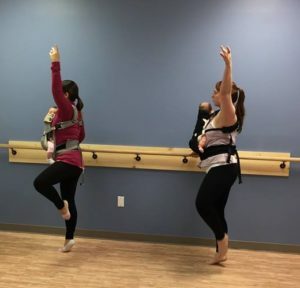 We offer prenatal breastfeeding classes, a FREE Drop-In Breastfeeding Group on Tuesdays, 1 to 2 pm at our Over The Moon Center in Norwell with a certified Lactation Consultant, and In-Home Lactation Consultations in Boston and on the South Shore. Take care of yourself while spending special time with your baby! Discuss common concerns of new mothers including sleeping, feeling, soothing, self-care and support systems. Facilitated by an early parenting educator. Discuss topics including sleep, feeding, social growth and motor skills. Second Time Mom & Baby Group is a 6 week series (mom and baby (2nd or 3rd etc) who is 2 weeks to 5 months old at the start of the 6 week series. Childcare is also available for siblings! $90 for the 6 week session. Call the center to schedule 781-347-3189. Call 781-347-3189 to request your 90 minute, In-Home Lactation Consultation. You will be called back within 24 hours to make arrangements for an IBCLC (International Board Certified Lactation Consultant) to call, email or schedule a Private “In Home” Lactation Consultation. “In-Home” visits occur Monday through Friday within the Greater Boston area, the South Shore and Upper Cape Cod. Determine how much your baby is eating. An IBCLC will bring a baby scale to your house. She will weigh your baby, you will then, breastfeed and afterwards your baby will be re-weighed to determine the number of ounces your baby ate. Call 781-347-3189 to learn more and request a consultation. Call 781-347-3189 to purchase your 30 minute, Phone Lactation Consultation. You will receive a call from an IBCLC (International Board Certified Lactation Consultant) within 24 hours of purchase. Would you like to speak with a breastfeeding expert from the comfort of your own home? Develop an individualized breastfeeding plan of care to fit your needs, based on your concerns, history and the IBCLC’s assessment. If the IBCLC feels it is necessary to see you in person to create your breastfeeding plan of care, you will have the option of applying the $65 Telephone and Email Consultation Fee to the purchase of an “In Home”, Private Lactation Consultation if scheduled within 48 hours.